Our Summer workshop will be held from Monday July 29 to Saturday August 3rd, at the Lodge at Santa Fe Hotel overlooking downtown Santa Fe. Something to look forward to: the food at the Summer workshop will be provided by the wonderful caterer from our winter workshops, Piñon Catering! Registration is now open! Our Winter workshop will be held over President’s Day weekend in February 2020, from Friday the 14th through Monday the 17th, at the IHM Conference Center in Santa Fe, NM (get to know IHM here). Registration will open around Thanksgiving, 2019. Our Oxford workshop in 2020 will be August 24-28, 2020! So please hold the date if you’re interested—more details to come in late 2019! Need a recommendation? Have a look at what people have had to say about Kammermusik Workshops here. We welcome your questions! You can reach us via email here (kammermusikworkshops@gmail.com). Kammermusik Workshops is a Santa Fe, NM, based not-for-profit organization in our 24th year of providing chamber music workshops for adult amateur musicians. Our mission is to provide workshops that inspire artistic and personal growth supported by the highest quality professional coaches. Who comes to Kammermusik Workshops: 30 – 65 players from all over the USA and abroad, all enthusiasts, but who have other lives, too … nurses, physicians, physicists, computer specialists, lawyers, accountants, engineers, teachers, retired. The standards range from good amateur to professionals who want to broaden their chamber music experience. Here‘s what some of them have had to say over the years! We provide a top-notch player experience at a very fair price, all in a relaxed, supportive environment, guided by quality professionals. Come join us and experience the beauty of the music! Financial assistance, in the form of workshop scholarships, is available. 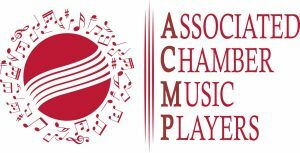 Many of our workshops have been made possible through generous support of ACMP – The Chamber Music Network, and the Clinton B. Ford Fund of its ACMP Foundation, an organization that promotes chamber music activities for amateur musicians.